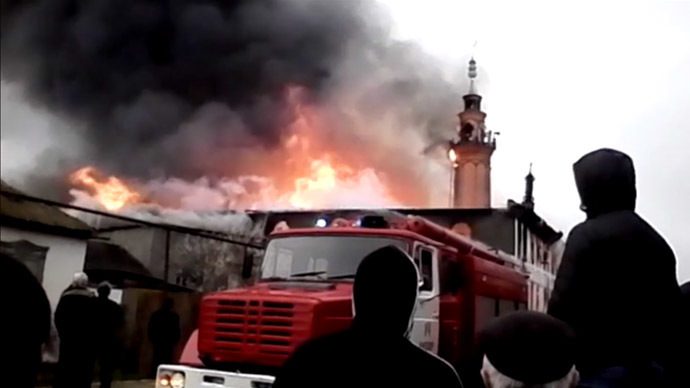 A mosque in the southern Russian republic of Dagestan has caught fire after morning prayers in the city of Kizlyar. Pictures posted on social media show the building engulfed in flames. The smoke could be seen from other parts of the city. It took thirteen firefighting teams to put out the blaze, which covered some 2,500 square meters. No one was killed or injured in the blaze. Morning prayers were over and people had left the building when the fire started.